Impressions‘ is a creative project by an eclectic group of female photographers from around the globe. We aim to share the inspiration behind what we do through our bi-monthly posts. When you finish here, visit Susanne's gorgeous blog post, and continue around the circle until you end up back here! Pie in the Face fun. Haha! The beginning of the year has been a whirlwind, with hardly a moment to rest. January brought birthdays, Noah turned 9 (which is always a big birthday for me- the last of the single digits), Hailey turned 11, volleyball kicked into full swing, Noah started Ballet, another mom at school and I dove into starting a Parent/School association (you know- all that spare time was going to waste doing things like.... laundry. haha). Teagan is limping through school, so we have been working on finding ways to engage her and help her get through the school year. She might come back home next year, but we are trying some things first. She said in the fall "Mom, I'm really worried about my teachers. I'm worried they are trying to make me a normal kid." - She definitely marches to the beat of her own drummer and fortunately all of her teachers love that about her- we just have to work on finding ways to make sure that functions appropriately in class (i.e. not standing up and spinning while bursting out in song while the teacher is talking). It has allowed me to be in her classroom more, even acting as class photographer- which is pretty darn special in a performing arts school. Harper's skin flares were at an all time high, and remain a mystery. Her nails have become very psoriasis-y, which has lead me to believe all of this is very autoimmune. We are treating it as such and her skin is improving, and only time will tell with her nails. Sam learned how to write his name, practicing on Valentines for his preschool class. He is the same weight as Teagan, and only about 1/2" shorter than she is- and stands above several of her 1st grade classmates at 4 1/2 years old. They are our largest age gap. He's going to be a tall guy. Sweet little Joanna, you were such a joy when I came to your home for your newborn session! The moment I saw how much you loved to be curled up, I couldn't help but get excited for your photos. I have a thing for cozy wrapped babies and natural unwrapped poses (if they look warm and snuggled, my heart is happy). There is only a short window of time where they still prefer to lay how they did while they were in the womb, and I think it is beautiful. She had the most perfect peachy-pink skin tone. Sweet little doll baby. I can't wait to edit the rest of your newborn photos! Thank you so very much C family, for trusting me to come photograph your baby girl! Here we are, 2/3 of the way through January already! The holiday months always feel like a complete whirlwind to me- we have the holidays, along with 3 kiddo birthday and both my Mom and Chris's mom's birthdays! Woo! I feel like we are just starting to breathe again. Please make sure you visit the incredible Natalie on her blog after you finish here, then continue on until you land back here! November consisted of me working a lot, and not taking many family photos, but December, oh December was special. At the beginning of the month our precious Teagan turned 7! (I can't believe she's 7. I still see her as 3 most of the time!) We celebrated her day by skipping school, going to the movies, and going to Build-a-Bear where she built a reindeer named Emily. We filled her room with balloons, and what was meant to be a solo bath time quickly turned into a party in the tub. 3 kids, 6 balloons, and a puppy who apparently thought it would be fun to swim. We saw the Nutcracker ballet (my very first time going! ), built gingerbread houses, visited Santa, and decorated the house for Christmas. Chris found out he had the week between Christmas and New Years off and we made the very impulsive decision to surprise the kids with a trip to Disneyland! We kept it completely under wraps and used a visit to Papa and Mae's as our excuse to pack clothing. Christmas morning went down like we always do, a super early morning with stockings, breakfast, and gifts. We then trekked to my parent's house for lunch and a little time together. The kids all got some spending money as a gift (which greatly confused them! ), and suddenly we "decided to head home" instead of staying the night. They were all confused but tired and ended up falling asleep in the car as we drove well past home into the mountains. When they woke it was dark and they were again, very confused why it was taking so long to get home. We asked them to trust us, and God bless them, they did. Questions started to arise as we drove on the next day, and we were having a blast confusing them with what state we were in, what direction we were driving, how much longer we had, what our end goal was... When we stopped for lunch in Las Vegas, poor Hailey was so upset because we stopped way off strip, in the desert, and we told her this was our end goal. Haha- we are so mean. Unfortunately, but also fortunately, we hit an excessive amount of traffic heading into California, and ended up arriving after dark. It took a lot longer to get to our destination than we had planned, but because it was dark, the kids were still none the wiser where we were. The next morning, we had them get up early, and get ready for whatever we were going to do (We stayed in an off site hotel, so there were no indicators where we were still). Then just before we left, we told them. It was SO busy (We won't go around Christmas again)- but it was wonderful. We rode most of the classic rides, met a few characters (We have to learn the new way to meet them so we maximize our time when we go when Harper is older), and got to drink in the magic for 2 days. The scariest ride there was the Ferris Wheel in California Adventure (The swinging carts.. ACK! )- but we had a grand old time. I will try to make a post of all the things we learned from our impulsive Disney trip soon! On our final day in California we went to Laguna beach and found a quiet cove where the kids could experience the ocean. A Sea Lion swam really close to the shore and watched the kids for a couple minutes, there were dolphins out a ways playing- it was generally perfect. Next to the mountains, the ocean is where my heart is happiest. I wish we could have both! The kids played in the water and we brought home a lot of sand and other awesomeness I found when I washed their clothes from the trip. haha! We only took our point and shoot on the trip, so while the photos aren't magical, we have some, and we made many more memories than anything else. We got custom burp cloths as gifts with a few of our babies, and while they were wonderful and special, they didn't get used very often. Blankets can be dragged around for years, and it's hard to mistake for someone else's because it is special to them. GingerLous Etsy Shoppe has a multitude of options, and I struggled with which to share because they are all so cute! I don't know about you, but I struggle to set aside self care time. I love the idea of this gift box, yes, even the laundry detergent- simple and gentle. DaveandAthena has a slew of natural, simple gift items. You can design something just right. I've never seen anything like the Nursie pillow before- but goodness it seems genius to me! The support you need without shrugging your shoulder. I always had a Boppy, and love love loved getting special covers so if baby spit up I could wash one and just slide the other on. I know there is a giraffe that is a big thing, that has been for a few years. We've never owned one, but I've had a fair share of teethers and I love these little rings by MommasLittleBirdie. They are wood and BPA free silicon. I've had necklaces like it for my babies too- and they were lifesavers on a few plane flights with my youngest. Another nifty item that seems like it would have been handy to have for my winter babies! It is unsafe to use some of the car seat covers that involve under the baby and make the straps not be as tight as they should, but this keeps the cold air off of baby between the house and the car, or allows baby peace to sleep when friendly fellow shoppers might get too close to say hello. These fitted car seat covers are so pretty, not to mention, it can double as a nursing and shopping cart cover! There are endless goodies for baby's noggin on etsy. In fact, it can be pretty overwhelming! My suggestion to you is, but headbands, not tiebacks. Don't get items with tiny items on them that could fall off. Those headbands are usually best reserved for photo sessions, where it is worn for a few minutes and checked regularly for quality, vs worn all the time. For beanies, measure baby's head for the appropriate size. Avoid items with loose odds and ends. Most of all, have fun looking. You can get accessories to match about anything your babies wear! Quite literally the only baby shoes that would stay on my kid's feet, and are better for them when they start walking than hard soled shoes. They only had a few style options when my bigger kids were little, but now, thanks to small businesses, you have a ton of choices. My favorites are leather, but you can get all sorts of fabrics. I'm sure I will add more over time, but this is a start! Happy Shopping! 2017... How you snuck up on me! The last half of 2016 was filled with Newborns, Families, transitions for our family, the holidays... WOO! I am tired! I'm sure you must be too. How do you best recover from the holidays? I'm still trying to figure out what works for me- usually obsessive purging and cleaning- but it never last long because 5 kids. I love my families. Being trusted to photograph them as they grow is such an honor for me. I photographed Joe's maternity and newborn photos, so when they asked if I had time for their new arrival, I first squealed, because YAY new baby, and then said of course- because I will MAKE time! Thank you, so much, K family. Thank you for trusting me with your family moments. It is an honor to watch your babies grow. As an in home newborn photographer, I get to visit people all around Denver and Colorado without them having to leave home those first days after having a baby. It is extra great for young families, with small children who might be out of sorts during the long wait through their new baby's newborn photos. I like going to your house because you get to keep a little bit of your routine. Owen was my first newborn after I visited Erin Tole in Vancouver, Washington, and he was an angel for me. He and his whole family make me so happy- I've had the honor of photographing them since they started their family. Thank you for trusting me to capture all of your babies Nick and Katie. That said, they need their own special post for their first day of school, and their Halloween costumes. Poor kids. I promise it's coming soon. After you visit here, make sure you head over to visit my dear friend Melissa's blog. She's AMAZING! Then follow the links until you get back here to complete the circle. In late August, we started fostering puppies for an awesome rescue, Waggin Tails Canine Rescue. We have had 2 puppies at a time. The first 2 were Olde English Bulldogs(top right), and were precious. They both were scooped up by forever families and we quickly accepted an English Bulldog and a Victorian Bulldog (Who knew there were so many bulldog breeds?) The English bulldog was adopted a few weeks ago, and we still have the precious baby boy in the top left corner. My little sister got engaged over the summer, and I had the honor of shooting their engagement photos in Boulder! Like many trails in the Boulder area, this was also an open pasture and we had to navigate past cattle who were just chilling on the trail. Kind of a funny thing to have to do when you're all gussied up for a photo session. The images for this round of impressions are all moments that were unplanned, and I was likely feeling some sort of stress about places we needed to be, the mess in the background, the attitude I was getting from said kiddo. We were both at home and in Texas (yay Schlitterbahn!) I'm trying to retrain my brain that THIS is the moment we need the camera out at home. Visit Leslie (AHHHHMAZING work- go see it!) after you're done here and all the way until you get back to me to complete the circle! It's almost Fall! The beautiful time of year when the kids are back to schoolwork, the leaves are changing, and there's that slight chill at night. Soon, we will swap sweat and sunscreen for sweaters and pumpkin everything. It's my favorite time of year. I'm looking forward to change of seasons and holiday family times to come. Really, you have two choices. You can go to the mall, to a one size fits all portrait studio. You can rush around like a madwoman, trying to match everyone's outfits even though you're not really sure what to wear, so you do your best to figure it out. It's what the poster looks like, right? You argue with your husband the morning beforehand, begging him to please just take a nice photo so you can send it to family for the holidays. You try bribing the kids with little success, they know that this is important to you and somehow, they are using it against you to try to get the things they know they don't usually get. Stinkers. You arrive to the mall, everyone is in a bad mood, and you're trying to corral everyone into the studio while they beg to go to the Disney Store instead. Shoot, the baby's headband was left at home. We're already running late, there's no replacing it now. The toddler somehow found some chocolate in the backseat (ew) and it is now everywhere, so you're digging through the diaper bag as you're walking, trying to corral the littles, to find some wipes. Your husband is already annoyed, and the stress levels for EVERYONE are rising faster and faster, until you finally arrive at the studio - frazzled and frustrated. Some family members have frowns, some are crying, some are covered in chocolate, and you just realized you have a hole in the bottom of your dress. You TRY to take a nice photo, but everyone is pretty much pissed off at this point, and the photographer's goal is to get you in and out as fast as possible. After all, there are several other families waiting for their turn in front of the lens, and they're all just as pissed off as your family, if not more. A custom photography session with a photographer that isn't just trying to rush you in and out of a studio, but takes their time getting to know your family even before your session. Where your kids are laughing, so the photos are natural. A session that is so custom that you even have help planning your outfits. It is so much fun that the time flies by, and your husband is thrilled that it didn't take hours or arguments. Your photos are carefully edited and delivered to you, no instant pressure to choose while everyone is already melting down. You see the photos of your family, they are unique to you and the joy that you share, and you know that these moments are fleeting. After all, it was just yesterday that these little ones were clinging to you for everything, and now they're running around together. You know that these photos are priceless, and that nothing will ever replace this time with your family, or these memories. If you have only ever experienced the first scenario, and maybe don't feel ready for a fully custom session, fall mini sessions are perfect for you. Mini sessions are a great way to experience custom photography for the first time, or to get a quick update to family photos for the holidays. We pick a gorgeous location, a time that suits your family, and I'll help you prepare for your session, from outfits to how to help everyone have a great time. This year we will have 3 outdoor mini session options, in the Mountains (near Lake Dillon), Denver, and Ft Collins. There are a lot of options, and I'm sure you'll find the perfect one for your family. Exact location will be decided 2 weeks before sessions and sent to participant's emails. If none of the above dates work for you, or if you have a special location in mind, but you still would like a mini-style session, this year I am offering half sessions as an alternative option. 45 minutes, on the day of your choosing, with 20-25 digital images. Half Session cost is $400. This is a great option if you aren't ready for a completely customized session yet. Email me at kim@brinkstreetphotography.com for more info and availability. Gosh, summer is almost over! We have had a full and wonderful one, and even now we are in Texas spending time with family and doing some really fun things you'll see in the September post! When you're done here, be sure to visit Natalie and see what her May and June brought for her and her beautiful family! In May, Sammy turned 4. We celebrated with a fun picnic and day at the park (I love how easy it is to make birthdays special when they're little) I can't believe how big he is. We also finish what is probably our last year of homeschooling, as the kids are starting school at a performing arts school in a few weeks. June was a crazy full month. We helped my parents start their garden. We figure the best way for kids to learn about food is to help it grow. They learn to appreciate what goes into the plants getting here. I wish they could work in the garden more than they've gotten to this summer though. We got a new play set in our back yard, repaired our trampoline, and then off we went to Lake Powell for a short vacation. My parents spent 2 weeks there, and it was such a wonderful way to unplug from the world and just be together. Sometimes I wish I had chosen to have a studio. I think of the consistency, having a place to hang all my things, all the ease that would come with it. Then I travel to a family's home, just days after they've brought a piece of their heart home in the shape of a new baby. They don't have to try and get out the door, they can feed baby where they feel most comfortable, they can get dressed when they're ready, and their siblings don't have to "behave" while we do posed portraits. I think there is a gift in both options, but I am glad I come to the people I photograph. I love how organic our time is. I tell families "please don't clean for me- I have 5 kids- just rest"- and I mean it. 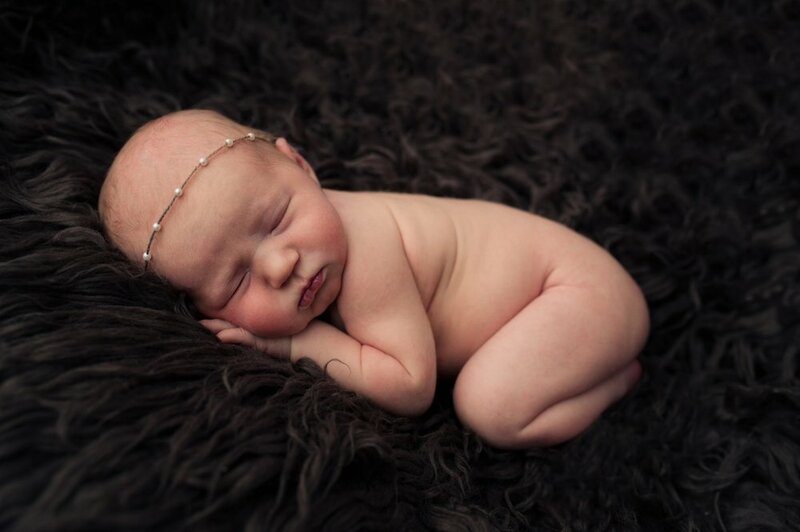 I want them to feel as relaxed as possible, and that is why I love shooting in your home when you have a newborn. I love road trips. I love that you can grab a few essentials, jump in the car, and go. It doesn't require months of planning, and you get to explore our gorgeous country! Yes- I even love them with our kids. I think flying is great, but it doesn't offer the same time making memories that a drive can. Last year right about this time, I was loading my family in the car to drive 17 hours from Denver to my In-Laws house in Texas. My hubby and oldest daughter had to stay behind for a volleyball tournament and would fly into town in a couple days. Everyone thought I was nuts for packing up our 4 other kiddos and going for it alone- but I was excited! So excited, we are about to do it again in a couple weeks. I'm not a good night time driver (my brain says "Hey! It's dark! Sleep! "), so I like to leave around 4 or 5am. That way the kids sleep a little longer, I get to see the sunrise, and BONUS- we avoid the rush hours through the first few cities we drive through. We drove about 15 hours the first day, and I decided that I would rather treat the kids to a night in a hotel room to get their wiggles out than treat my in-laws to road- weary kids. We didn't have 1 instance of fighting, whining, or complaining. In fact, I would say it was probably one of my top 3 favorite road trips ever. We use some simple tricks to make it fun for all of us. You might think I'm crazy for driving across the country with my kids (yes, even without the hubby)- but I'm going to offer some tips to make it so you can love road trips as much as I do! 1. Lists are your best friends. Then I make a list for what is needed in the car for each, a shopping list (grocery and non grocery), and a master list of everything. I like lists- it helps my brain feel functional! When I make lists, everything gets remembered. When I wing it... We forget diapers 3 hours from the nearest store. After lots of requests, I'm working on making our trip list shareable and will post the link here as soon as it is up! 2. Pack everything but the cooler the night before. Trying to remember everything you need to take out of the house at 4am and pre-coffee can be stressful. It also slows you down. We load the car the night before our trip so all we need to do is grab kiddos, pillows, the cooler, and we are off. It has done wonders for me to have everything arranged the day before our road trip- right down to cups in cup holders, shoes in the shoe bucket, and blankets folded near seats. I can check off my list without the last minute stress of wondering what I forgot. I set the cooler right in front of the door before I head to bed, and grab the pillows as I grab the kids out of bed. They stay in their pajamas until our breakfast rest stop (sometimes they just stay in their pajamas). 3. Make rest stops fun! When your kids are under 10, jumping out and having a 5 minute potty break isn't realistic. They need a chance to stretch their legs, fry some energy, and shake the sillies out. So when I make a potty stop, we do just those things. Put your mindset into "Fun" mode vs "Stress and Rush" mode. You don't have to be at your destination at a set time, so breathe, smile, and do a silly dance around the car with your kids. Take 20-30 minutes to walk, run, spin in circles, anything movement. Celebrate that you made it to each rest stop, I promise it will set the tone for the next stretch of your drive, and the time will make up for itself in attitudes later. Plan 2-3 extra hours in your total drive for this. *Side note- a lot of rest stops have playgrounds. Use them to your advantage! Make gas stops fast stops, and rest stops longer. Yes, that means more stops- but sanity is worth it, isn't it? Low sugar. The last thing we need is a sugar wired kid strapped in a seat for hours! Little to no food dye. Again, wired, emotional kids strapped in a rolling box for hours- no fun for the grown ups. Easy to pass around & Easy to clean up. String cheese, Trail Mix, Apple Sauce in little squeeze packets (usually reserved for rest stops), Home Made "lunchables", Fig Bars, and fruit are some favorites. Everyone gets their own cup to reuse that has a lid and straw. The less spills the better! Pack a gallon jug of water for refills between stops. We pack juice for special rest stops that we plan to have them running for a bit. This is simply a Road Trip must. Thanks to the beauty of Spotify, we have made extensive playlists for several of our road trips. We try to include something for everyone, and something to fit all moods. Music can carry the attitude of an entire room, so choosing a variety of songs for each mood is huge! Part of the beauty of taking road trips now is the glorious invention of the tablet. Our kiddos have the Kid version of the Kindle. We've had ipads in the past, and they were awesome but are slowly dying off, so when our last trip rolled around, we decided to splurge on the kid version of the kindle. If you haven't looked at them, they are worth peeking at, especially for kids under 10. Amazon will replace it, no questions asked, for 2 years. So if they drop it, drown it, run it over- as long as you have a kindle to return, they will send you a new one. It comes with a case that I was a little skeptical about but it seems to work great! The Kindle comes with a year of FreeTime as well (my favorite part). FreeTime has 100's of books and apps they can choose and load onto their kindle for free AND you get to set limits on the electronics! So, if you want them to read for an hour before they have app access, then apps for 30 minutes, then back to books, you get to set it up that way! It makes me feel like we aren't ruining them on electronics, because they are mostly reading books! They love it because they get to have control and don't have to share with each other during Kindle time. Don't forget headphones for each of them as well. We just found $5 headphones in the Dollar Section of Target. They cover the whole ear and have pretty decent sound quality. I feel like if they last even just a month or two they will have done a great job for that price! You can also get kiddo headphones on Amazon too for the little guys. I can't rent from Redbox when we are at home, because inevitably I forget we've had it for 4 days, and by that point I may as well have bought the darn thing anyhow... But when we are on the road, it's a total God-Send! I love that you can rent a movie, watch it as you drive and return it anywhere. No need to keep track of a disc for the whole trip (that's asking for it to get scratched or lost in our world)- just rent, watch, return. You can find them all over the place! We just got our first car with a built in DVD player- but before that we used 2 of the 2-screen Portable DVD players that attach to headrests- these are the ones we liked, we snagged them on Craigslist, and I suggest checking there first, because often people use them for 1 road trip and then sell them! The Kindle and a couple movies will get a few hours, but there are still spaces I like to fill with other options. I know some opt to put the entertainment box (or busy boxes) next to the kids to sift through at their leisure, but one thing I've learned about my kids is given the opportunity to have a lot of new things at once, they will be overwhelmed and subsequently only enjoy each thing for 15 minutes *max* and then be seeking something else. So our entertainment box is a slow leak. They kind of have a check out system, have an item or two, trade out for something else. It minimizes the mess in the car, and draws out how long they play with something. We always have coloring books, and learned the hard way think Texas-in-the-summer that crayons are a bad idea. We do colored pencils for the big kids, and Color Wonder for the little ones. We also splurge on Usborne books/activity books (yay end of school book fair!) that I hide away until the trip- they have some of the coolest books for older kids, we love the Write your Own series- Storybook, Comics, Adventure Story (you can check them out here, but I'm sure they're on Amazon too)- I'll warn you though- their books are amazing and made for all ages- it's hard not to want them all! We also try to pack a clean craft that can keep hands and eyes busy. There are tons of age appropriate options at Target or Joann/Hobby Lobby. Part of going new places is trying new things, right? One thing my kids look forward to on a road trip is the 1 meal out we choose during a drive day. In fact, they will hold it together through those rough hours of the day where they are starting to get antsy and tired for the promise of that treat (which is why it is on the list, of course!) We try to pick something we can't get here at home, that also offers the opportunity to move around a bit. I don't like to eat out for every meal, mostly because I would rather spend trip money in other ways- so we pack breakfast and lunch food in the cooler and typically opt for a dinner out. Better yet is when we can grab it and head to a park for a picnic and play before we hit the road again. Dinner is one of our bigger stops usually- we plan around a full hour of movement for the kids before we try to get in another 4-5 hours of driving in. It is important to make it a positive stop so that final stretch for the day isn't complete torture for all parties! I have a prize box for my family sessions, so kiddos can pick something special after our photo session as a reward for playing through their pictures with me, and for not making their mommy and daddy lose their minds. I realized as my kids drooled over the goodies in there that they weren't allowed to touch, that I could probably get the same results for my kids if they had a little motivation to earn a prize during our trip. So, the Prize Box came to be. You know those surprise egg Youtube videos that kiddos love? I hunted down those little surprise packs at Target and started slowly collecting them for the prize box. We also put in stickers, special pencils, and other fun goodies. It stays hidden in the house when we aren't traveling, but on trips longer than 4 hours, it comes with us. For our 17 hour trip, they get a prize of their choosing from the box mid-day if they've had great attitudes, or at least have done their best to turn their attitude around if it has gone south, and another prize when we get to our destination as my thank you for hanging in there through the long day. This is the very best thing ever. They look forward to it for weeks! It's so silly and small, but because it is special to car trips, they love it. I truly believe that *most days* we get to choose how we react to the way life happens around us. Are your kids going to be perfect during your car trip? No. At least, it's highly unlikely. But, you can choose to breathe through that moment, smile, and try to make it positive. When things mellow out, thank them for it. Kids are so smart. They will receive that feedback. They will also feed off your attitude. You choose happy and silly? It will be hard to resist doing the same. Thank them for a positive potty stop. Praise them for not knocking over everything on the shelves at the gas station. And if they DO knock everything over? Laugh, smile, take a deep breath, and add it to the memories you get to share when you want to embarrass them in front of their future spouse. That is simply a moment in a 1000 moments of life- but your response will stay with them forever. Do I love road trips because they're a breeze? No. They're a challenge! I do love road trips though, because it is an opportunity to make memories, have time together, and to stretch ourselves as a family. Maybe I'm just sentimental, but that is what makes life beautiful. Mountain Spring Mini Sessions are here! I have 2 dates open for Mini sessions. I may add another if all the spots are claimed quickly. Mini Sessions are $275 and include a 30 minute session filled with fun and no pressure, and 10-12 edited digital images (sometimes more) with a print release. Prints are available separately, no surprise costs. 1. Look through the dates and times below. Sessions will take place in the Silverthorn/Lake Dillion area. Possibly Breckenridge (I will be scouting the best views as soon as this crazy weather settles down some) . Exact location will be decided 2 weeks before sessions and sent to participant's emails. I am trying to get my camera out more for our day-to-day, and use the cell phone camera less. It's not always easy- I get caught up in not wanting a mess in the background, or not wanting to capture our chaos... but it's us- so I need to, because someday I'll want those moments in pictures. Visit Vinita next, and then go to each person until you end up back here to complete the circle! Last time I had the honor of photographing a newborn for this family, I was 8 months pregnant with Harper, and here we are again with their precious second baby. 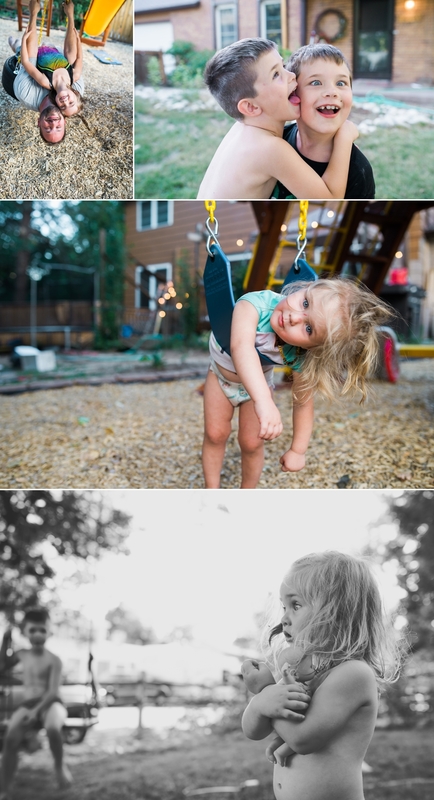 I am so honored they let me visit their Lone Tree home and capture their family growing again. Their little ones are about 22 months apart- I love that gap. It's neat to see so many of my Colorado families increasing in size. She was about 9 pounds of delicious baby perfection, and was a complete angel during our session. Typically is takes babies about 45 minutes to completely relax and fall into a deep sleep, but she was there within 5 minutes. Gold star for baby Chloe! Nursing breaks equal sibling photos for me. I really love the 2-3 year old ages, and how they're so naturally curious. I just followed him while his mommy fed his newborn sister- I got to see his super awesome bedroom and his crazy cool toys. He even showed me his favorite books! I'm sure I've written about this before, but one of the biggest challenges with young siblings and portraits with their newborn baby, is keeping both parties 100% safe. Some siblings are SOOOOOO in love that you have to makes sure they don't hug the baby too hard during their photos, others are scared to touch baby, and others are just too wiggly in their adorable little bodies to stay put for photos. Lucky for me I have some tricks up my sleeves! Cam was so good to his sister though- and Mickey Mouse helped us hold still for a few frames. As always, I adore family images. I love seeing them connect with each other. I love the way love pours out of all of them and into one another. The way newborn babies are immediately loved so deeply, and the way toddlers are loved just as deeply but with the added enjoyment of their fantastic personalities, and so on. I feel blessed to get to capture such intimate moments. These are the moments I want them to remember. As newborn photographers, we take even the slightest sniffle seriously. So when my friend and fellow photographer Michelle got sick, she decided it was safest to refer out her newborn client. I feel so blessed that she chose to send my name to this amazing family. Thank you Michelle! Baby Cam was so alert and watched me really really carefully during the beginning of our session. Little thinker! He didn't want to miss a thing (I have to admit I love when they are awake for a little while). I'm sentimental, and so the details of their littleness tugs at my heart strings. Toes, fingers, their little profile... It changes so quickly. Cam preferred the super soft faux furs that I shoot on over the smooth blankets. He made sure we knew it by making sure those blankets were wet quickly! ;) I can't blame him though- I would snuggle up in them too if I had the chance! His mommy and daddy met at Notre Dame before they eventually moved to Denver, so of course we had to honor that with the special hat they were given at their shower. I can't wait until it fits him! And of course, my favorite part, families connecting. Aren't they beautiful? I hope Cam will always know when he sees these photos, how very very deeply he was loved by his mommy and daddy from even before he was born. Thank you P family, for allowing me to capture such a special moment in your life. I am so honored. Little Mr. Stetson was on oxygen when we did his newborn photos. Living in Evergreen and being a little early made it so he needed a little help to breathe well at the high elevation, but he did great during our session. We kept his oxygen on while we got ready for posing, and then pulled it for a few shots, and put it back on. I think my favorite thing in the whole world, be it in the hospital when they are just born, or those first days at home, is older siblings getting familiar with their new baby. They are filled with curiosity and trying to figure out how this new little buddy fits in their life. Most kiddos say "Why can't s/he play yet? How much longer until they play??" and are totally in love. Some kids realize baby mostly sleeps and decidedly ignore them until they at least start to smile (totally normal). This sweet pea adores her new baby and wanted to tell him about everything in the world. Baby brother needing a nursing break equals special time for me and big sister to take photos. We got to read books and she showed me her *gorgeous* bedroom, and I might have let her jump on the bed for a minute. Sweet little Isabelle was 6 days old when I came to their house in Denver to do newborn portraits. I was excited not only to meet her, but also her family. 2 older brothers means we were going to have a lot of fun, from being really excited to participate to... not as much- but I love those moments. First days are so incredibly special to me, I feel like everyone is still getting to know each other, learning how to connect in a new way. The transition is beautiful. I love coming to people just for that reason. There is so much changing, mom is recovering from her hard work, and I can't imagine packing up to leave home in that moment. I feel like kids feel best getting to just be them selves, theres no studio to mess up, you can maintain a semblance of routine. We also get the best of both worlds, posed photos and family centered photos. Thank you so much for trusting me with your family!